The trailer for "Wiz Khalifa: Behind the Cam" ep. 2 is upon us. Episode 2 of Wiz Khalifa: Behind the Camis going to drop imminently. Before it does, Wiz Khalifa is offering his fans an exclusive look at early bird footage in this here trailer hyping up the Apple Music launch. As you'll see, Wiz Khalifa isn't afraid to portray himself in an intimate light - as the footage teleports us back to the early to mid-2000s, in the midst of a negotiation between the rapper and a studio engineer over a flat recording rate of $60 on the hour. Little did he know, but over the course of that one-hour session, Wiz caught the eye of E. Dan, the studio head/engineer, and from there a prosperous creative partnership was born, and consequently the beginning of his rise to superstardom. "The owner, E. Dan, called me, like, one day after school. He's, like, 'Yeah, we want to work with you.' I'm like, 'What the fc*k?" Wiz recalls in the trailer. "[E. Dan said] 'You could answer the phones, you can clean up, you can run some errands for us, and we'll pay you with studio time.' I was like, 'Daaaaaamn!' That's like gettin' a record deal back then." The trailer is short but sweet. Both Wiz and E.Dan retell their accounts of the meeting, and the profound effect it had on Khalifa's career in particular. 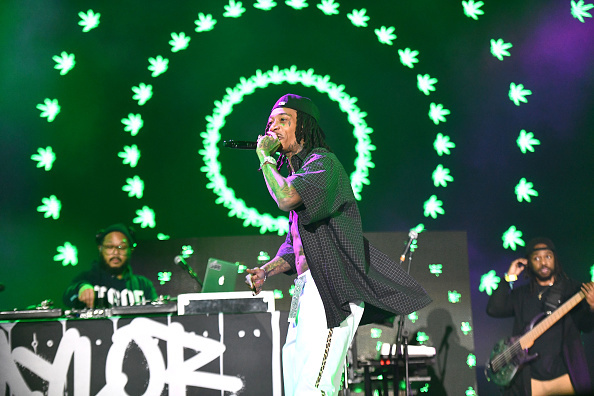 After all, the Apple Music web series is named Wiz Khalifa: Behind the Cam for a reason. Give'er a go, and hit us with your thoughts.